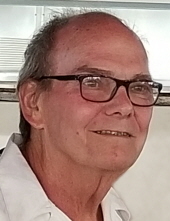 Age 69 of Owosso passed away Wednesday, January 16, 2019 at his home. Funeral Services will be held 5pm Sunday January 20, 2019 at Nelson-House Funeral Homes, Owosso Chapel with Pastor Charles Krueger officiating. The family will receive friends at the funeral home on Sunday from 12noon to the time of service. David was born March 3, 1949 in Owosso, the son of Linus and E.G. (Marshall) Bond. He graduated from Owosso High School. David married Kathy Kreinbrink in Owosso on March 21, 1984. He spent his years working and managing restaurants and then retired from Priority as a truck driver after 14 years. David loved sports, basketball, football and baseball, whether he was playing, watching or his favorite teaching his boys. He would spend countless hours in the driveway shooting hoops and in the yard throwing the football. Spending that time with his family and his wife Kathy was his true passion in life. David is survived by his wife Kathy; three sons Jordan Bond, Ross Bond (Lisa Mlynek) and Logan Bond; one granddaughter on the way; siblings Nan (Dr. John) Judy, B. Jill (Donald) Chambers, Linda (Peter) Mayer, Stephen Bond, Mary (John) Plowman, Susan (Robert) Chandler, Ellen (Keith) Gregory, Jane (David) Conklin and Teresa (Max) Putman; best friend Jim Lieberman; several nieces and nephews and many other loving family and friends. To send flowers or a remembrance gift to the family of David Murray Bond, please visit our Tribute Store. "Email Address" would like to share the life celebration of David Murray Bond. Click on the "link" to go to share a favorite memory or leave a condolence message for the family.